-- This is a day to celebrate and appreciate the storied history of an ancient musical device, the noble Highlands Scottish Bagpipe. Some view bagpipes as obnoxious, migraine inducing tools of destruction; the medieval equivalent of leaf blowers and car horns. But for true, full blooded aficionados the great booming drones and shrill piercing beauty of such a mad device is epic. 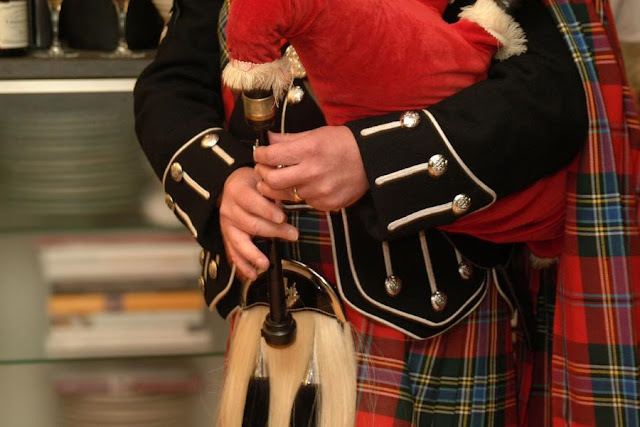 -- relates the evolution of the bagpipe from the reeded pipes of ancient civilizations to its present-day position as a Scottish cultural icon, an evocative emblem of Celtic heritage, and a legitimate musical instrument. Delightfully illustrated with photographs, engravings, and color paintings of pipes and pipers through the ages, this book makes an ideal gift for anyone with an interest in Celtic music and history. • LEGO Bagpipe Minifigures -- Other musical styles may come and go, but the Bagpiper knows in his heart the bagpipes will last forever!